Surrey, B.C. has set its sights on shaking up CCTV. The municipality, as part of its new public safety strategy, launched Project IRIS (Integrated Resources for Investigations and Safety), a camera registry, this past October. The project records the locations of cameras owned by businesses and residents in the community who wish to volunteer that information. One of the pillars of the initiative is crime prevention and reduction, says Terry Waterhouse, Surrey’s director of public safety strategies. “When we started looking at what are the logical initiatives, we looked at the utilization of both existing video resources and the feasibility of leveraging video either citizens or businesses have as well,” he says. Surrey was already monitoring more than 400 cameras for traffic management at its traffic management centre in City Hall but, as part of the new safety strategy, also established a remote traffic management centre in its Operating Command Centre (OCC), a police dispatch centre manned by civilians. “With this remote centre, staff in the OCC can now let members know if a camera was at a crime scene and if it has any footage that might aid in an investigation. If they believe it does, then [police] make a request for it,” Waterhouse says. It has significantly reduced the time it takes for that information to be used by police, he adds, noting that before the remote centre, there was always a delay in responding to requests. Project IRIS was the next step for even greater efficiency. “We looked at a number of video camera registries in Canadian and American cities and then we reviewed privacy legislation for B.C. to determine if what those other jurisdictions did would be feasible here,” Waterhouse explains. Turns out, it was. One example the team analyzed was the SafeCam program in Philadelphia, which Waterhouse describes as similar to Project IRIS, with the exception that it is run directly by the police department and provides financial incentives to businesses every year for being a part of the registry. After the consultations, the next step for Surrey was building a database, followed by a formal privacy impact assessment, which was forwarded to the provincial Privacy Commissioner’s Office for review. A very select group of OCC staff can let police know, via a request, if a registered camera is situated near a specific location and who owns it. The police take it from there and can contact the camera owners. “It’s essentially an electronic version of going door-to-door after an incident occurs for CCTV,” Waterhouse says. The municipality is now in the process of reaching out to businesses directly through the Chamber of Commerce and similar pathways to spread the word about Project IRIS and the wider benefits for the community. Surrey says it has also been conversing with security businesses, installers and integrators during the rollout of Project IRIS. As with anything about video surveillance, privacy issues have been voiced about Project IRIS and the municipality has done its best to address them from the get-go. Overall, the registry has triggered some valuable conversation about privacy and collaborative surveillance, he adds. 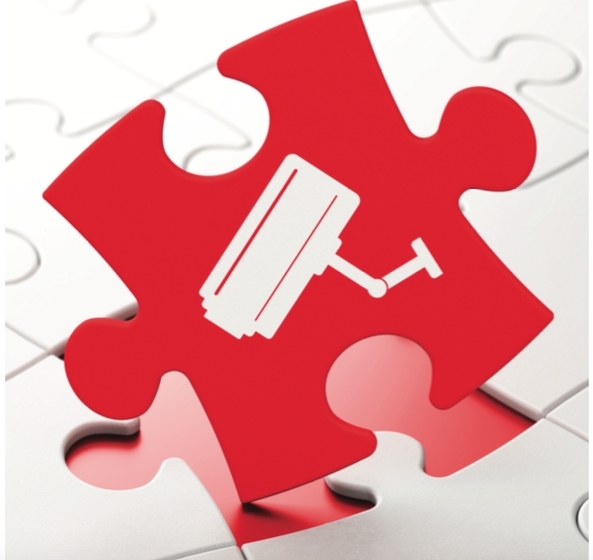 “It’s a real behaviour change to put your camera in a registry because, whether it’s businesses or residences, if you have CCTV assets, you’ve done the ‘go it alone’ thing and many haven’t thought about the broader implications,” Waterhouse says. In the future, Waterhouse says the city will look at how to make it easier for small businesses to utilize CCTV resources and will continue to monitor the traffic cameras for road safety and assisting the flow of traffic. “Having those camera assets rigorously linked into our technology is something we’ll continue to review and expand as traffic gets heavier,” he notes. IP security solutions provider Genetec says it had noticed a trend in cases where clients were managing multiple types of video, such as that from dash cams. “There’s been a huge increase in the amount of digital evidence police have and the way the police departments are managing this right now is with old, out-dated software,” says Pota Kanavaros, product marketing manager at Genetec. They don’t have the proper tools, plus there are complications with storing all this data and added costs there — it’s all slowing down the rate of which cases are being cleared. “You can’t just put everything in a cardboard box anymore,” adds Kevin Clark, global communications manager for Genetec. With Cloud-based Clearance, all data is stored online and encrypted, and can be shared between investigators or requested by third parties without needing to physically ship or deliver the recordings. As the application is not licensed per seat, access can be shared with as many users as needed, without incurring any additional fees, Kanavaros explains. Video surveillance is always a sensitive topic, says Don von Hollen, team lead, business innovation and support for the City of Calgary’s corporate security department. Calgary has a little over 1,100 cameras, according to von Hollen, and the city has its own procedures in place for how they share with law enforcement. “They’re required to provide us with their file number and only at that time will we release the video,” von Hollen says. There is little advanced technology used, as the footage is then burned to a disk and manually picked up by police. This also applies to Calgary Emergency Management Agency (CEMA) as well as the Calgary fire departments. “So in the 2013 flood, the emergency operations centre had access to all of our public safety network cameras as well as our mobile trailer units,” von Hollen notes. The corporate security department boasts four of these standalone units, which do not need a connection to the power grid as they are solar or propane powered and connected to LTE networks to send video remotely back to the video management system. The city is also currently working on creating information sharing agreements for private entities. A registry has been talked about a number of times, von Hollen says, but is not currently on the table for the municipality to steward. Similarly, Toronto Community Housing (TCH) — which expects to have over 8,200 cameras installed in its communities by the end of 2018, as it upgrades all its current analogue cameras to high-resolution digital ones — still shares its video footage via a manual process. “Our Community Safety Unit extracts footage locally and delivers this to the law enforcement agency. The police complete a request form for disclosure for law enforcement purposes pursuant to the Municipal Freedom of Information and Protection of Privacy Act (MFIPPA),” explains Brayden Akers, TCH senior communications advisor. Ann Cavoukian, the Information and Privacy Commissioner for Ontario from 1997 to 2014, says she’s seeing more sharing of video surveillance footage and that companies and municipalities need to be aware of the unintended consequences.